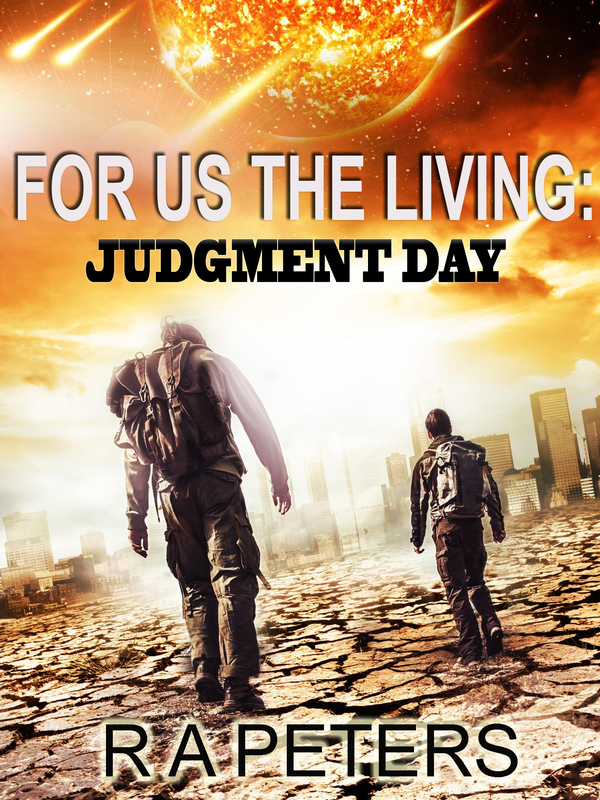 How do you bug out of Judgment Day? Sergeant Danielle Walker is on a hostage rescue op in Yemen when a mysterious EMP strike changes the world. Cut off from civilization and deep in insurgent-held territory, Walker and her team struggle against new and old enemies for the chance to return home. All while a mysterious invasion force mops up their worldwide conquest. Meanwhile, in the post-apocalyptic ruins of America, the SHTF at the worst possible time for her prepper husband, Dixon, and her teenage daughter. None of Dixon’s expensive preparations are enough in a world on the brink of annihilation. With nothing but his wits and the clothes on his back, Dixon must survive a rapidly evolving new-world order to save himself and his stepdaughter. A botched assassination on the eve of Election Day throws the routine transfer of presidential authority on its head and shuts down the Federal Government. With Congress and the Supreme Court locked in a constitutional standoff, rabble-rousing state governors fueling the fire and shadowy opportunists pulling strings, the nation teeters on the verge of a Second Civil War. As the politicos play their games and lose control, the scourge of 21st century hyper-war is unleashed upon a shattered nation. Fancy speeches aside, the lives of millions will not ride on the politicians and generals, but on the shoulders of the pawns they tossed into the meat grinder. Pawns like Sergeant Major John Brown, a hard charging paratrooper, who’s about as political as a potato, yet incites a second revolution. Or young Sophie Kampbell, a social justice crusader, who despises violence in every form until tragedy shoves her into the arms of the mysterious “Freedom Brigade” militias. Power Games is the first installment in the epic Operation: Enduring Unity military thriller series. If you like Red Storm Rising by Tom Clancy or Red Phoenix by Larry Bond, then you’ll love this explosive adventure packed with constant thrills, twists and high stakes from cover to cover. Three months have passed since the United States ripped itself apart. Shadowy forces continue sabotaging peace negotiations at every turn, while the American Taliban and other insurgents keep fanning the flames of hate and vengeance. With every drop of blood shed, Operation Enduring Unity takes on a life of its own. In the misguided belief that force alone can end the war, Washington readies the largest military invasion since World War II. Out West, the California-based United Republics of America prepare some surprises of their own. As the American Cold War turns hot, patriots on each side fight to keep the whole country from burning down. From the high-tech air, land and sea killing grounds to the rhetoric-stained halls of power, prepare for an extreme tour of American history in the making. From sea to shining sea. A year has passed since America plunged itself into a new Dark Age. The Californian-led United Republics of America, emboldened by their alliance with the independent nation of Texas, launch the first invasion of the United States in over 150 years. In this storm of hyper-modern war, Sophie Kampbell discovers a dark secret about her militia’s corporate sponsors and their plans to unite the country… or burn it down in the process. Despite exotic new weapons and strategies, the same heroes on both sides are called upon to make their greatest sacrifices yet, all in the name of Unity. Read power games and enjoyed it. Look forward to next book.